Valentine’s Day is later this week, and if you haven’t made a plan for a date, it’s time! 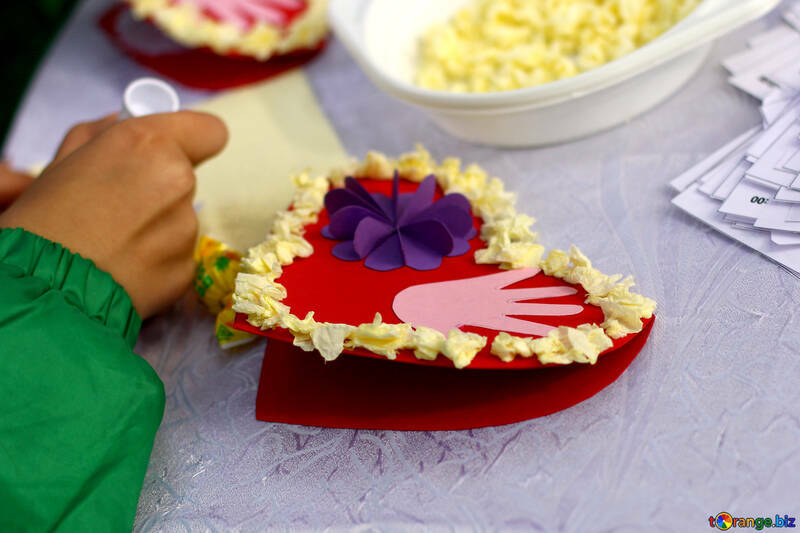 Here are a few fun and different ideas for an exciting Valentine’s Day. Valentine’s Day is right around the corner. Everyone wants to do something special for their loved one on Valentine’s Day. It is a tradition to go on a date on Valentine’s Day with your loved one. Instead of going out to eat or doing something simple, sometimes it is good to do something unique on Valentine’s Day. Here are some ideas on what to do for Valentine’s Day date, from DealDash. Going to an aquarium is a fun way to spend Valentine’s day. You and your loved one can walk hand in hand while you look at the sea creatures. It is affordable, and you will have a good time creating new memories. You can even get a souvenir to remember your Valentine’s Day date. Try going to your hometowns website to look for local aquariums to go to. Many aquariums even have photo booths! What a great way to remember your Valentine’s Day date. When you think of romance, you think of love poems. Reading poetry with a glass of wine and candlelight is a romantic and unusual Valentine’s Day date. You can go to the library in your hometown to check out the best poetry books and take them home and have a nice dinner. Add a spice of romance to your Valentine’s Day date by reading some romantic poetry. When you think of Valentine’s Day, you do not think of going to a karaoke bar. Singing at a karaoke bar is a fun way to spend Valentine’s Day. You can pick out love songs to sing together such as “I Got You, Babe.” It does not matter if you can sing or not. Going to a karaoke bar will be a great way to spend Valentine’s Day with your loved ones. Don’t Forget a Gift From DealDash! If you haven’t gotten your date a gift for Valentine’s Day yet, check out the amazing auctions that are available on DealDash. You will find gifts for all types of people including husbands, wives, boyfriends, or girlfriends. Why not get your partner a nice watch or necklace? You can click here for jewelry auctions. You will also find gift cards and other auctions for anyone from baby to senior citizen. If you need a gift for your date, then visit DealDash before shopping anywhere else. I hope that this article gave you some ideas for a fun and unusual Valentine’s Day date. These ideas will help you have an amazing date! Valentine’s Day is a special holiday. You have a chance to spend some time with the one you love. These unusual Valentine’s Day date ideas will help you decide on a fun way to spend time with your lover on Valentine’s Day this year. Thanks so much for reading this DealDash article on unique Valentine’s Day dates. Don’t forget to check back often for new articles here. We love to hear from our readers, tell us where you are taking your date for Valentine’s Day. Do you need Valentine’s Day gifts? Go check DealDash for gifts and jewelry. DealDash has amazing items. Visit DealDash now to save. You’ll be glad you did! Have a great time on DealDash and happy bidding everyone! This entry was posted in Lifestyle, Seasonal and Holiday and tagged date, Deal Dash, DealDash, DealDash Auction, dealdash auctions, dealdash.com, fun, gift, gift card, happy, holiday, home, jewelry, valentine, valentines day on February 12, 2019 by . Why get your sweetheart the same old thing for Valentine’s Day? Start early and you will be able to find them a unique gift. Try these ideas from DealDash. There are various alternatives for excellent and thoughtful presents on Valentine’s Day. Simply due to the fact that it is Valentine’s Day does not mean restricting your creative imagination when it comes to picking presents for your partner. Whether you are running out of interesting and different gifts for Valentine’s Day or just looking for present concepts that are genuinely distinct this write-up will certainly give some beneficial suggestions. Read on for some heartfelt and sweet presents that are unique. A fun and different Valentine’s Day present would be a surprise journey to celebrate the occasion. Do you have a wine vineyard or a place that has wine tastings nearby? Or how about a brewery or candy factory that offers tours? A gift doesn’t have to be a bunch or flowers or a box of candy. It can be a small trip, a journey, or an interesting experience. If you feel that your companion would like this present there is absolutely nothing incorrect with providing an experience or trip as a present for Valentine’s Day. If you are looking for a genuine one-of-a-kind Valentine’s Day present concept, why not think about making your partner a gift? An additional excellent present concept for Valentine’s Day is a present of a scrapbook of your life with each other. It will be a Valentine’s Day present that they are most likely to treasure for years to come. It’s a little unorthodox, but why not think about merely asking your companion what he or she truly desires for Valentine’s Day? When doing this be certain to encourage them to choose any type of present they desire. This gift does not have to select something that is typically linked to Valentine’s Day. For example, one year I wanted a vacuum and another year I wanted craft supplies. These are definitely not things that a person would normally give as a Valentine’s Day gift, but I was much happier with them than I would have been with a piece of jewelry. If you haven’t visited DealDash lately, then you need to check out the amazing auctions that are available. You can get any sort of gift that you would like for your husband, wife, boyfriend, or girlfriend. This includes more “traditional” presents such as a nice candle or piece of jewelry (click here for jewelry) as well as non-traditional presents of all prices. This even includes cars (click here) and vacations!! If you need any gift ideas whatsoever, then be sure to visit DealDash before shopping anywhere else. If you celebrate Valentine’s Day, the getting your companion a present is important. These ideas for presents will help you find something that they love. It is time to get out of your comfort zone and think about a unique present for your partner! Thanks so much for reading this DealDash article on unique Valentine’s Day presents. Don’t forget to check back often for new articles here. We love to hear from our readers, tell us what you are planning as a present for your companion. Do you need gift items? Go check DealDash for presents and gift cards. DealDash has unique items. Visit DealDash now to save. You’ll be glad you did! Have a great time on DealDash and happy bidding everyone! This entry was posted in Lifestyle, Seasonal and Holiday and tagged Deal Dash, DealDash, DealDash Auction, dealdash auctions, dealdash.com, fun, gift, gift item, happy, holiday, jewelry, present, valentine, valentines day on January 30, 2019 by . Valentine’s Day is coming soon, do you have a date planned out for you and your sweetie? Why do the same old dinner? Here are some different ideas from DealDash. Dinner and a movie might be a standard date, but why not try something new and different for Valentine’s Day? Some of these ideas from DealDash might not be romantic, but they will be fun quality time spent with your date, and isn’t that the important part? It’s said that laughing is a great bonding experience for couples, so perhaps a Valentine’s Day date to the comedy club is in order. Check your local Yelp or Google Guide to see if there’s a comedy club near you. Next, be sure of the hours and if you need tickets in advance. Have a fun time laughing the night away with your honey. Many smaller restaurants and bars have what’s known as “paint night.” Paint night is a super fun activity that includes instruction from an art teacher how to paint a simple painting, and you can usually purchase wine or bring your own. Have a lovely time bonding with your mate while painting and sipping. Forget the dinner and a movie, I would trade them both for a massage! Couple’s massages aren’t always offered at your standard chain massage businesses, but sometimes they offer them as a special for Valentine’s Day. If you can’t get a couple’s massage, just get two regular massages booked at the same time. Once you’re face down on the massage table you won’t notice that the other person is in the room, anyway. What’s more romantic than Italian food? Italian food that you make yourself! Enroll you and your honey in a cooking class and learn how to make a meal together. The bonding experience will be great for your relationship – and if not, at least you will get a meal out of it! I hope that you found this new DealDash article on Valentine’s Day date ideas helpful. Reading the DealDash Reviews and our sister blog DealDash Tips Blog daily is one way to stay “in the loop” when it comes to DealDash happenings. If you are shopping for a gift, art, candle, or other, check DealDash first. DealDash has it all! Visit DealDash now and get your Valentine’s Day sweetie a gift! DealDash wants to help you. Good luck and happy bidding everyone! This entry was posted in Uncategorized and tagged date, Deal Dash, DealDash, DealDash Auction, dealdash auctions, dealdash.com, ideas, penny auctions, valentine, valentines day on February 9, 2017 by .